The Ann & Robert H. Lurie Children's Hospital of Chicago Fellowship in Pediatric Health Services and Population Health Research is hosted by the Division of Academic General Pediatrics and the Mary Ann & J. Milburn Smith Child Health Research, Outreach and Advocacy Center. 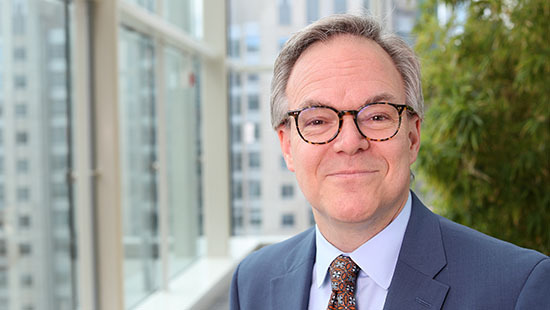 Matthew M. Davis, MD (senior vice president and chief of Community Health Transformation, division chief of Academic General Pediatrics and director of the Smith Child Health Research Program) serves as the fellowship director. Faculty members in AGP and Smith Child Health Research, Outreach and Advocacy Center are most likely to serve on fellows' mentorship teams, but all Lurie Children's faculty and potentially Northwestern University faculty may serve as members of fellows' mentoring teams. Each fellow will have a scholarly oversight committee (SOC; to include mentors and the fellowship director), and we will require meetings Q4 months of each fellow with her/his SOC. Physician fellows will work toward an advanced degree besides the MD, unless one has previously been obtained. The most likely advanced degree to pursue during the fellowship will be a master's degree in health services and outcomes research, offered at Northwestern University. Another possibility is a master’s in public health. Physician fellows will be expected to complete three types of projects during their fellowship years. One project will be a review (systematic, narrative or policy-focused), another project will be a qualitative methods project and a third project will be a quantitative methods project. During fellowship, physician fellows will be active in the general pediatric clinical setting for one half-day per week in year 1 of fellowship, and two half-days per week in year 2 of fellowship. Fellows will also share on-call responsibilities with faculty in AGP. Individuals who are board-certified or board-eligible in pediatrics and have completed their residency training from accredited U.S. residency programs are welcome to apply. Applications will be accepted on a rolling basis each year, beginning on Oct. 1 until available positions are filled for the following July 1. Each fellowship is expected to last two years.